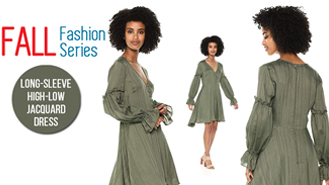 ▶ Download the app with this story so you can find these locations easily. ▶️ You can also get a yearly subscription and use all the Venice walking tours. On many occasions I have been asked questions about Venice, Italy. 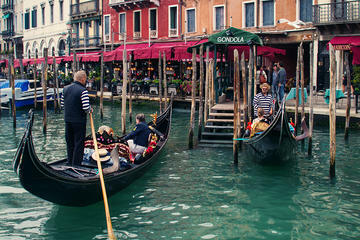 Questions range from “Is Venice a good location for a honeymoon? “Is Venice expensive? “Is Venice sinking? Is booking flights to Venice easy? Why would people ask me these questions you ask? I have no idea, except maybe because I am a traveler. So people automatically think I would have visited Venice during my travels. Unfortunately I have not. The question I get asked the most about Venice is, “What are the free things to do in Venice? So, on a rainy Sunday afternoon I decided to compile this list of free things you can do in while in Venice. So, if you plan to visit this summer or for your honeymoon or with your kids. 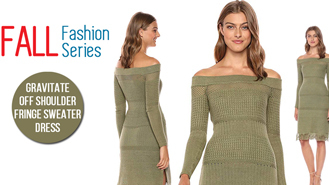 This list will give you some free options. Piazza San Marco is the largest square and one of the most popular tourist attractions in Venice, Italy. 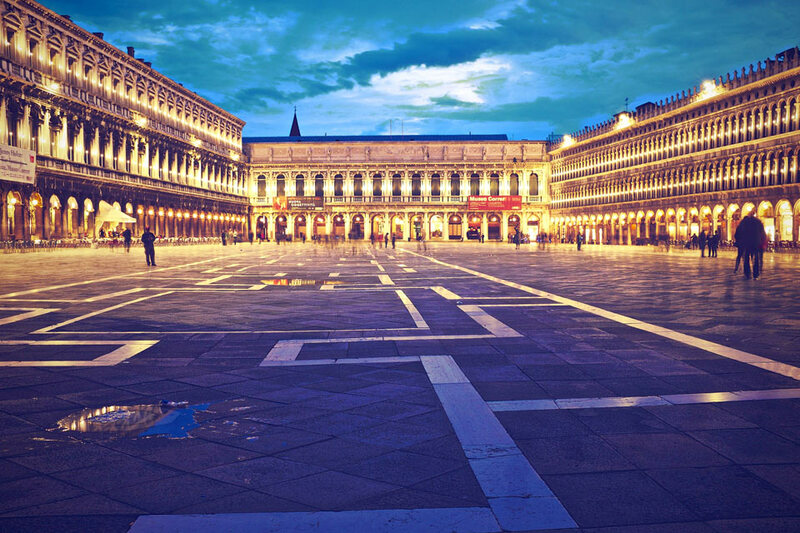 The square is filled with many beautiful buildings which showcases the architectural magnificence of Venice. 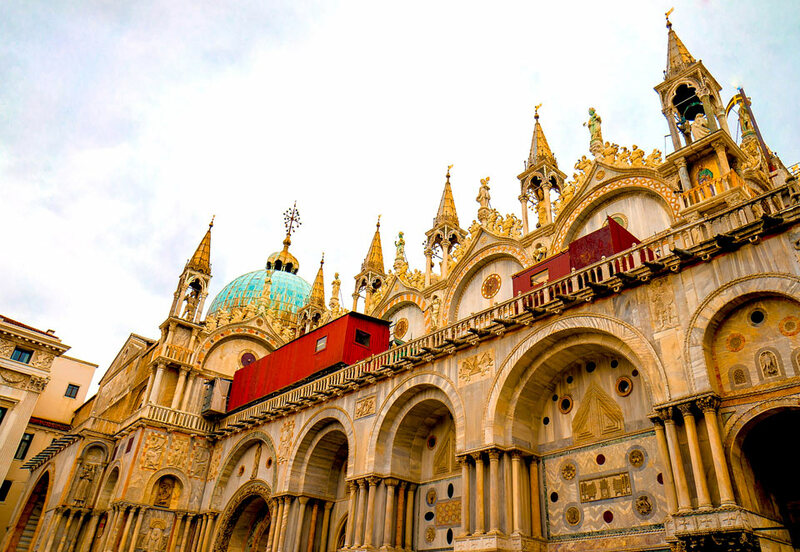 Many of the main tourist attractions in Venice, including St Mark's Basilica are located around the square. Piazza San Marco/St. Mark's Square. In 1807 St Mark's Basilica became the city's cathedral. Previous to that it was the chapel of the Doge and is actually connected to the Doge's Palace. St Mark's Basilica is perhaps the most famous of the churches in Venice and this is due in part to its amazing Italo-Byzantine architecture. Around 1204 the Portrait of the Four Tetrarchs were added to a corner of the facade of the basilica and in 1254 The Horses of Saint Mark were added on the balcony above the portal of the basilica. As you would know, or maybe you don't, but there isn't much free land available in Venice, so you won't expect to see much gardens and parks. However, there are a couple of them, the most widely known being the Giardini Pubblici. It is the biggest park in Venice and it is located in the Castello neighborhood. It is home to many events including art exhibitions and festivals. While it not as spectacular as the parks and gardens in Paris or London you can still getaway from the hustle and bustle of central Venice and sit under the shade of the palm and other trees and enjoy the scenery. Look out for the statue of Garibaldi, one of the highlights of the garden. There is also a cafe as well as a couple of playgrounds, fountains and sculptures. 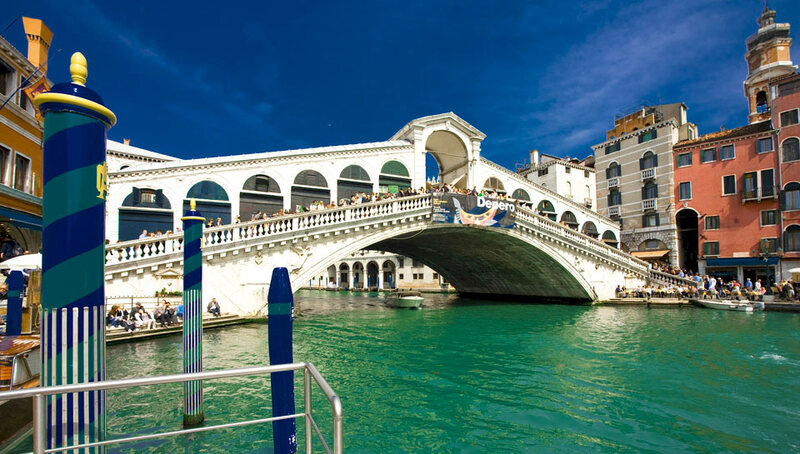 There are four major bridges across the Grand Canal in Venice, but the Rialto Bridge is the oldest and the most popular tourist attractions of the lot. Completed in 1591 it is similar in design to the wooden structure it replaced. The others are the Ponte dell'Accademia, the Ponte degli Scalzi and the most recently built Ponte della Costituzione. While you have to pay for anything you want in the Rialto Market you don't have to pay to visit. It is a great way to mix with the locals as they go about their daily activities in the markets. 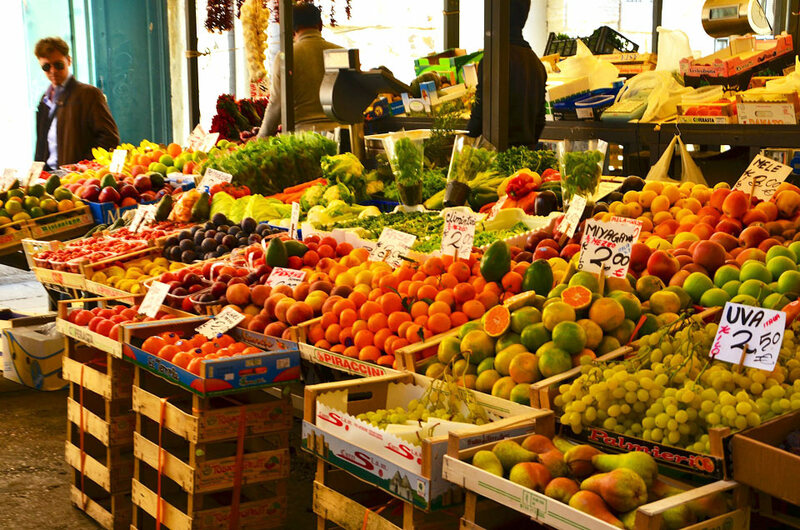 The Rialto Food Market is best known for its abundance of fresh seafood as well as fruit and vegetables. The market is located at the northwest of the Rialto Bridge in the San Polo district, and has been around since 1097. Fruits and vegetables in the Rialto Market. Not only can you get some exercise, but you can also enjoy the scenery of Venice by talking a stroll along the waterfront. Make sure and visit the Riva degli Schiavoni, which is a promenade, located on the waterfront at St Mark's Basin. Although it is always overcrowded it is a beautiful spot where both tourists and locals hang out, making it one of the liveliest spots in the city. Along the waterfront you will also find several hotels, cafes. You will eventually reach Sant'Elena if you keep walking. Sant'Elena is an island located on the eastern tip of the main island group and is linked by three bridges. While there you can check out the Rimembranze Park, the Stadio Pierluigi Penzo football stadium and the marina. Located close to the University of Venice, the Campo Santa Margherita is a large square in the heart of the Dorsoduro district. During the night Campo Santa Margherita comes alive, as many of the cafes and bars remain open late at night. It is an ideal place to have a glass of Prosecco, Bardolino or Soave while sitting on the benches listening to locals converse in Italian. Or you can have a meal at one of the restaurants. You can also pick up fresh fruits, fish and other knick-knacks during the day. Best of all it's another free thing you can do in Venice. 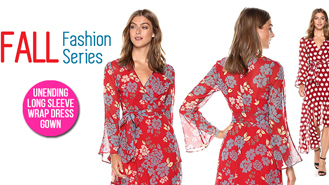 Of course you have to buy your wine, food and knick-knacks, but the secret is it could be cheaper there. 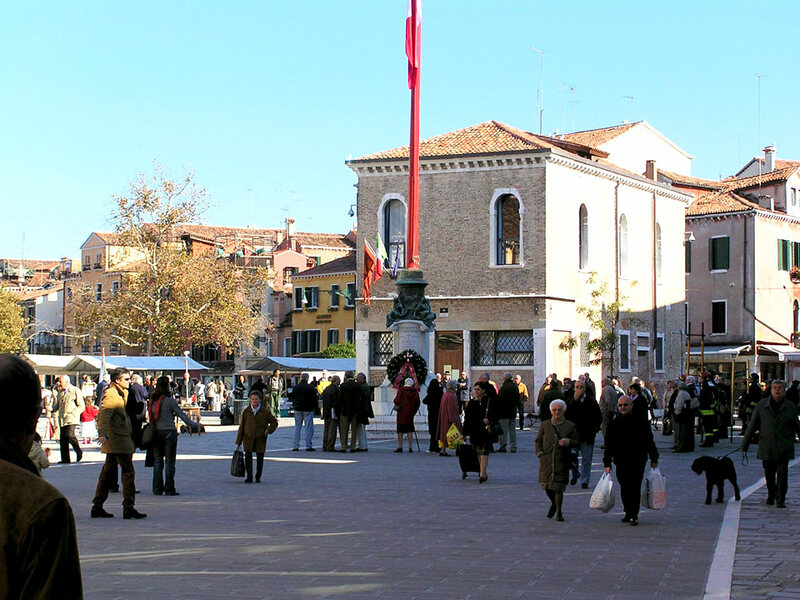 Another square you can visit is the Piazzetta dei Leoncini. 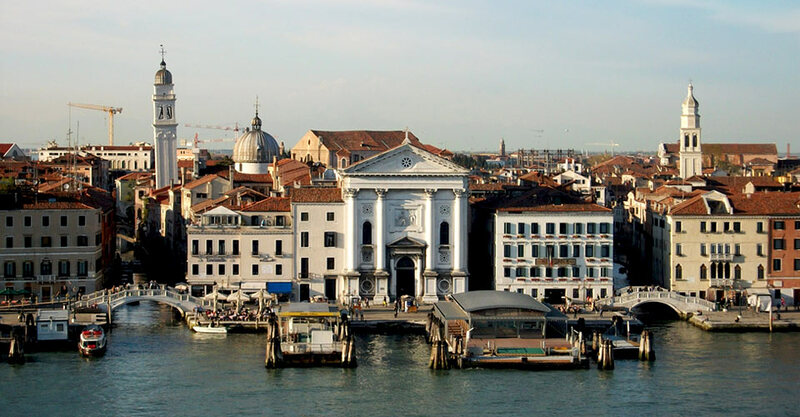 It is located on the north side of St Mark's Basilica close to San Basso and the Palazzo Patriarcale. 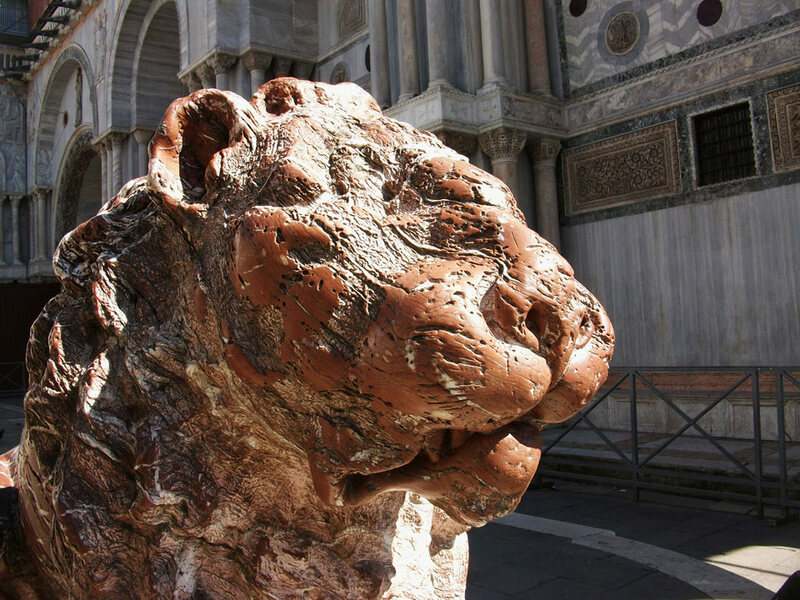 Features of the square include two lions sculpted in red Cottanello marble and the well curb located at the center of the small square. The two lions were sculpted by Giovanni Bonazza in 1722. If you love classical music, then you would love visiting the Museo della Musica. The museum feature violins and other string instruments from around the time of Antonio Vivaldi and the process used to create them. The Venice Music Museum also features the works and life of Vivaldi who was an Italian composer and virtuoso violinist. 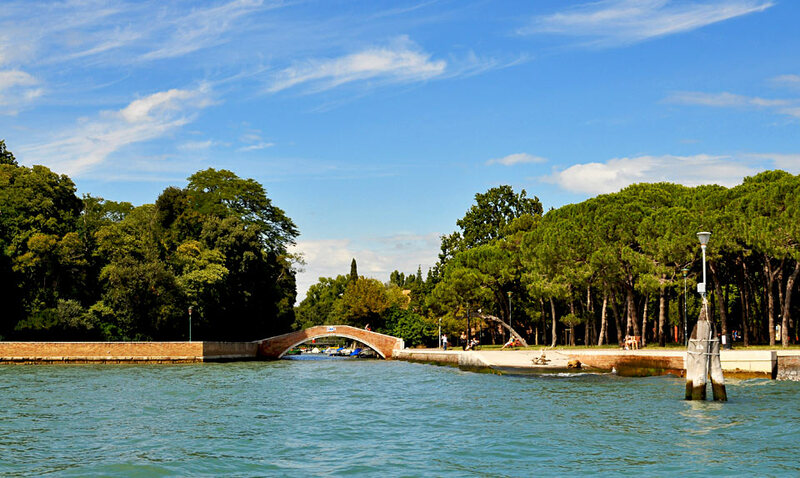 Located in Sestiere Cannaregio, Giardini Savorgnan also known as Parco Savorgnan is another public park in Venice. 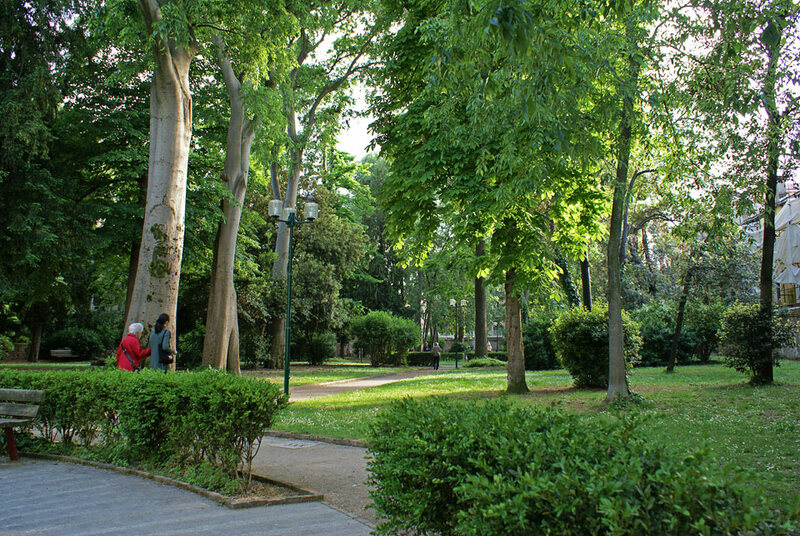 One of the larger parks in Venice it is located close to the train station and features linden, maples, chestnut, oak and yew trees. Built some time in the 1600s it was expanded in 1752 and decorated with statues and other monuments. There are also swings and slides in a playing area for children.